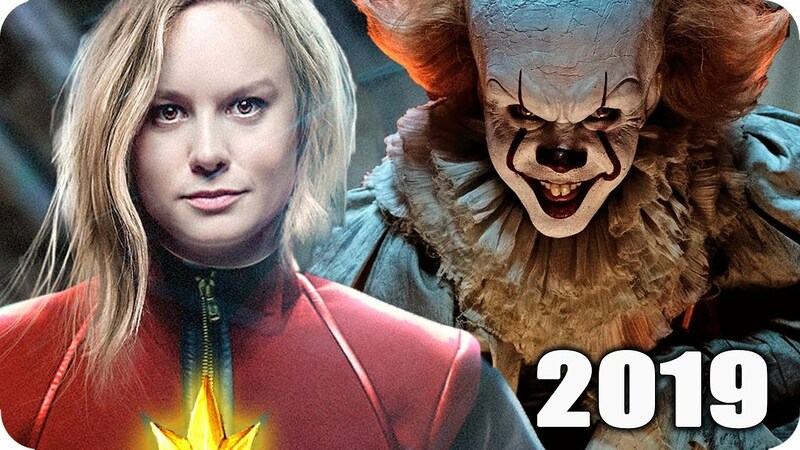 As 2019 keeps moving the world biggest movie industry Hollywood keeps bringing out new movies and interesting movies at that. Most people would want to know how the movie is before it is actually been released in the Box Office. I will say that I missed a lot of movies last year 2018, and I actually manage to see some of the movie's trailers and it was really good although I did not watch them. Movie trailers are one of the things that tell you if a movie will be that interesting to watch or not. So many movies will look great and interesting on their film cover or movie banner that is been placed everywhere but when you watch it you actually regret why you ever watched a movie like that. So many movies like that came out last year and the movie banners were looking all great and interesting. But while watching it you find out that the movie is just a whole lot of rubbish. Today we are going to show you 11 amazing movie trailers you should not miss this week. The creator of Black-ish, Kenya Barris is the man behind the script for the revival of Shaft. The movie carries a whole lot of fun with cool action movie part and ridiculous comedy. The Shaft is to be released June 14th. There is not much to see here but the movie seems to be promising. Jordan Peele is bringing back The Twilight Zone. The Show debuts April 1st on CBS. Not everybody loves to watch a horror movie but everybody wants to watch horror movies. Child’s Play is one of the most twisted horror movies to watch, on the origin story of the murderous doll. The movie is said to be out June 21st. Everybody has been waiting for the next Avengers movie to be released. This is one of the movies everyone is waiting patiently for. It is to be released April 26th. Marvel movies are getting better each day. Although many people still compare their movies to DC movies. Captain Marvel is one of the greatest superhero movies I have been waiting to watch. It is to be released March 8th. This is one of the DC movies people are waiting to watch. Although few people say the movie won’t be that interesting. But when I watched the trailer I found out it is something you really need to pay attention to and watch. It’s interesting if you get to watch it. It debut day is very close which is 15th of this month. This movie name sounds like a movie that there will be a lot of fun and interesting movie to watch. You just have to watch the trailer to give your own thoughts about it. It will be shown on FX March 27th. This movie is actually brought to you by HBO. They have a new documentary series coming up. The four-part series debuts are on March 10th. Back when I was 5 years old, you hardly see a female take or act a part of a gangster. That’s a man role. But nowadays females are taking over as it seems. This movie is now finally headed to the US for a limited release on March 15th. Many of you must have watch Planet of the Apes, this movie is a bit much like it but more interesting to watch. Coming from the creator of the Planet Earth. The eight-episode series debuts April 5th. A lot of children are waiting patiently for this movie and those children I will call them creepy. This movie will be released on April 5th.